I’ve released an iOS App to display realtime HUD info from Forza Motorsport 7 while you are racing. 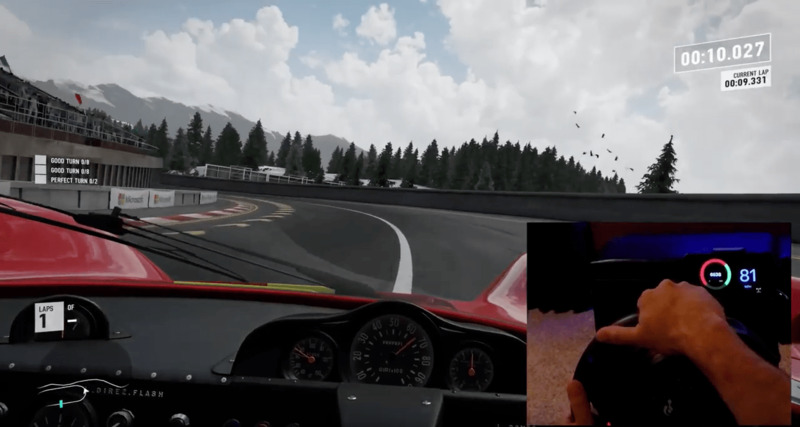 Forza Motorsport 7 recently released an update that allows you to send telemetry data to another device real-time. This is done over UDP at 60 frames per second and works with XBOX or PC! Normally, to determine optimum shift point you have to take a lot of things into consideration including gear ratios but that data is not available, at least not yet. So, I set a threshold of 80% of max RPM for the car you are driving. I wrote this app in Objective-C. I haven’t worked with raw UDP packets since the Quake days! It is amazing how fast everything is processed. There is no visible lag as you can see in the video below which is me playing on an XBOX that is streaming data to my iPhone app. This was pretty easy..I simply defined a STRUCT for the Forza UDP datagram and popped the data packet into that to pick out what I needed. Hardest part was figuring out what unit of measure is used for velocity values. The documentation does not tell you, but I finally figured out it was meters per second. You can find it in the app store here. If you have an Android device, someone has already built one for that platform. Look up SimDash. I am hoping that Forza Horizon 4 has a similar option when it comes out, I can easily adapt the app to work with it if they do.